FotoBella: Graphic 45 ~ Look Out World! The new Graphic 45 collection, (Come Away With Me), from FotoBella, is so gorgeous, and perfect for all of those vintage photos, like the one I scrapped here from 1924, of a relative on my dad's side of the family. 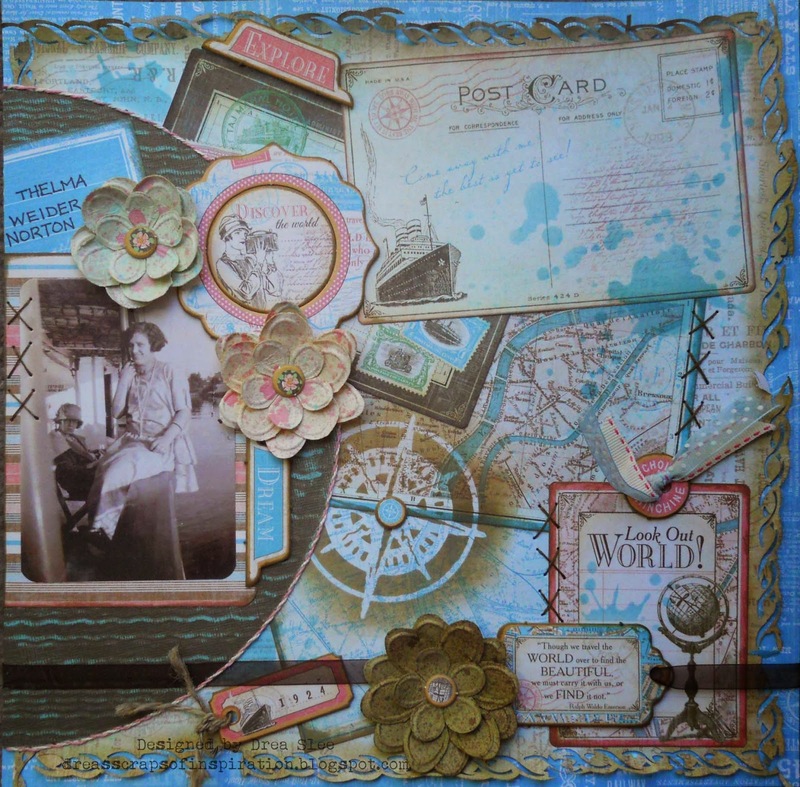 I started by layering the papers and Journaling and Ephemera Cards behind the Core'dinations cardstock circle, which I embossed and sanded down a little to reveal the color underneath. I stitched around it, adding some stitched X's throughout the page. 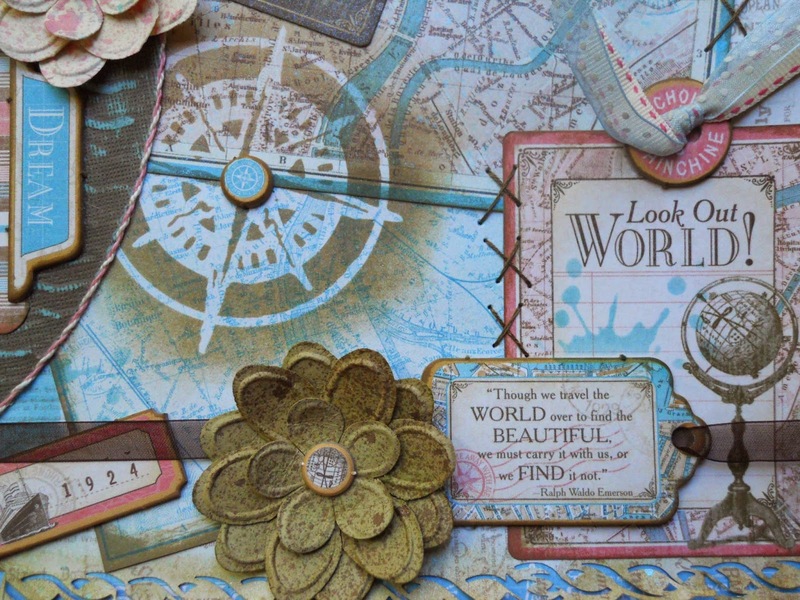 I masked the compass with Distress Ink, (Frayed Burlap), and the water marks with (Broken China), using the Tim Holtz Splatters Stencil. 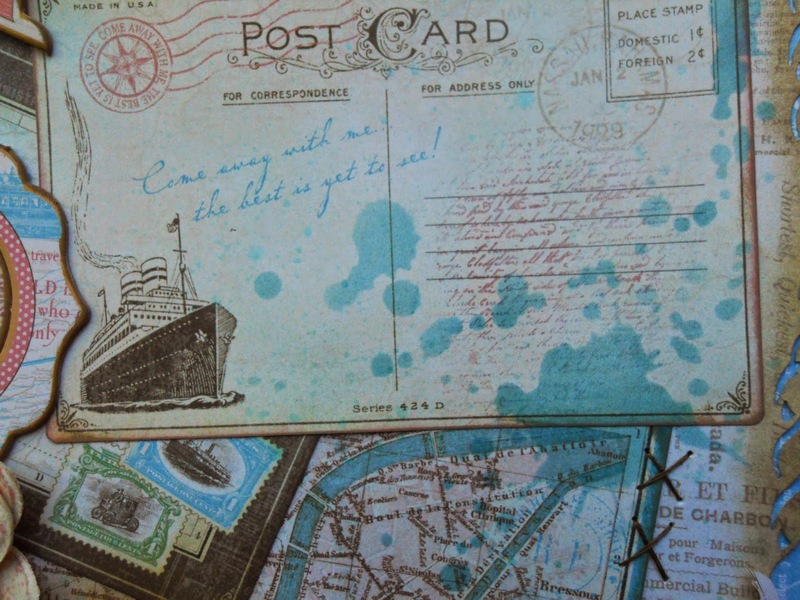 The date on the Journaling Chipboard tag was stamped, as well as the script on the circle chipboard piece, and the postcard on top. 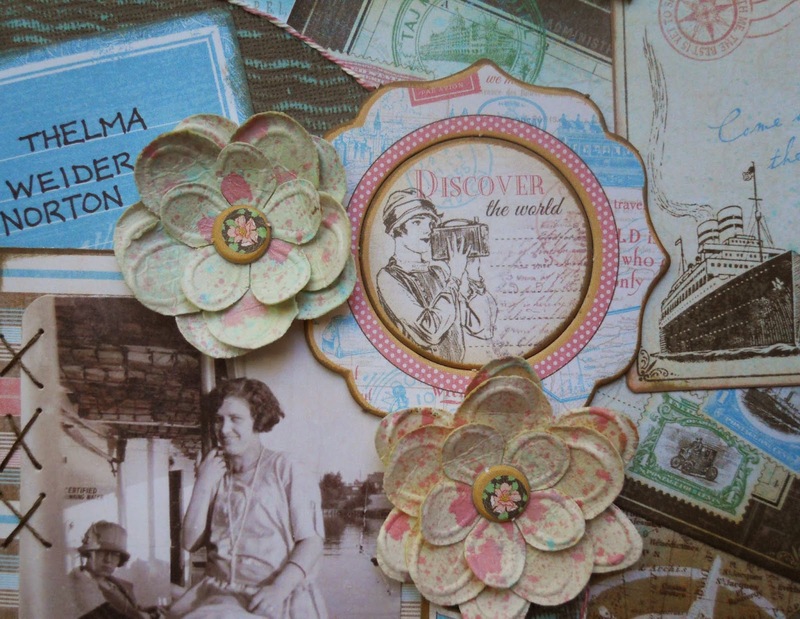 The Prima flowers were misted and layered, with small chipboard circles for the centers. I finished it up with some ribbons and rope on the tags, and some sheer brown ribbon going across the bottom of the page.